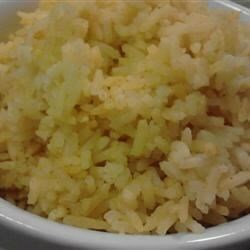 "Simple and nice rice dish." Stir the rice, water, and curry powder together in a rice cooker; cook for 1 full cycle or until all the water is absorbed, 15 to 20 minutes. I don't understand the rave reviews. Followed directions to the T and it turned out inedible due to the flavor. I made this with my rice steamer also, and it was delicious! Ummmm. Even my child liked it! too much curry. Learned my lesson by trying to take this shortcut.